Hello boys and girls, how have you been lately? 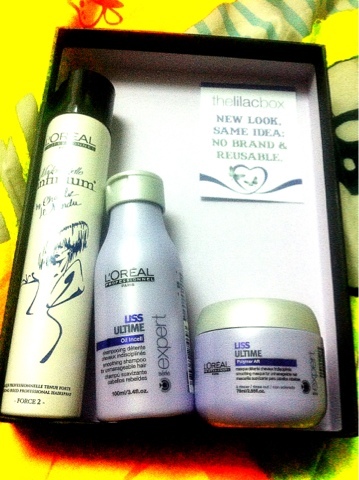 So recently or not so long ago, I subscribed to my first ever monthly Lilac Box. I had bought the Decleor limited version of The Lilac Box, so this is my first for the monthly one. I managed to subscribe to this edition right before I left for my trip to Hanoi, where I told the administrator I would pay first as I would not have access to the Internet as I would be abroad. 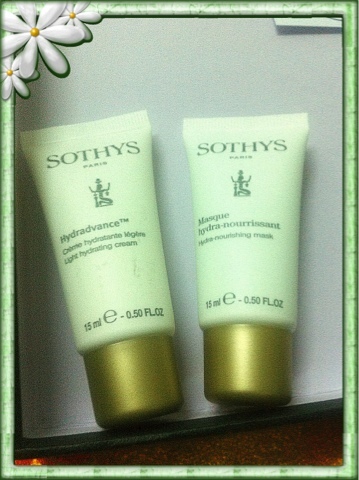 A deluxe sample of Sothys Hydraadvance cream and masque. Hairspray and Liss Ultime hair shampoo, and hair masque from Loreal. 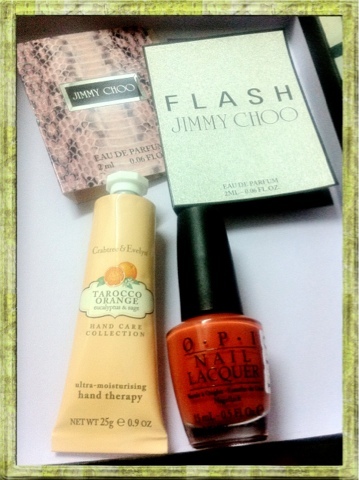 Sample vial sized of parfum from Jimmy Choo-Flash, Crabtree & Evelyn's Tarocco Oange hand cream, and OPI nail lacquer. I am actually quite happy with all the products. I love the products from Sothys as they just feel exquisite and luxurious with that feel good factor, but I seriously think they are over priced in Malaysia. I feel that I have seen too many of Loreal Liss Ultime shampoo and hair masque been given around (many of the beauty boxes), as well as in some magazines. At this time, I am currently not subscribing to any beauty boxes as I still have many deluxe sized samples that I have yet to finish. As I will be away from KL travelling in the month of September to Australia, it will be good time for me to use up all the travel kits.